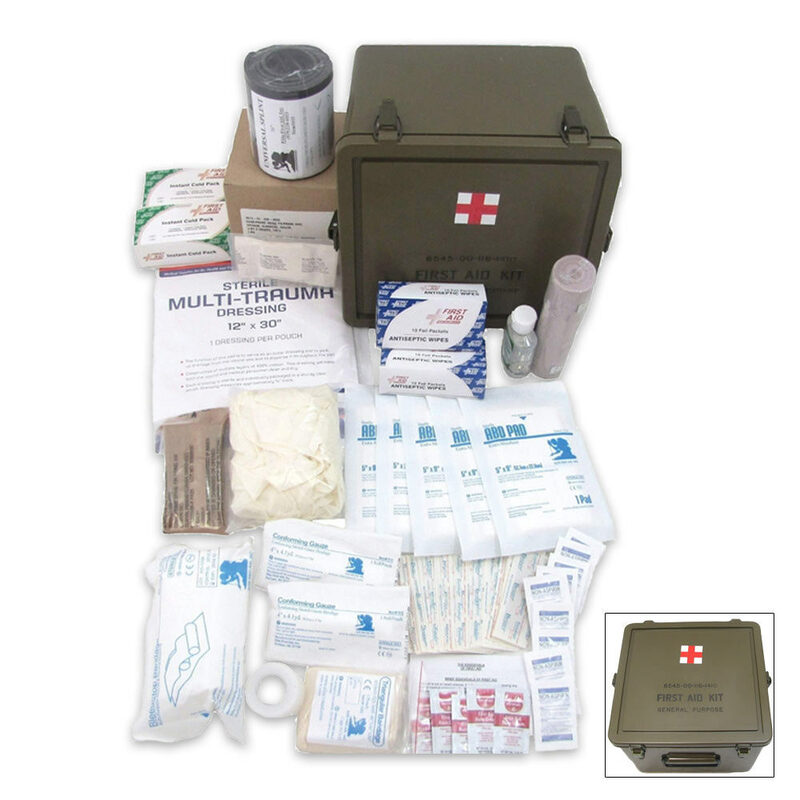 This large, general purpose medical kit is designed to cover first aid needs at your home or office, or to keep in your vehicle to have medic supplies nearby where ever you go. The Military-style box is waterproof and equipped with a carry handle. The watertight case makes this kit suitable for use while boating. Kit measurements: 10 in. x 9 1/2 in. x 7 1/2 in. Cheap but attractive box; a good starter first aid kit for the price. I am rating this 5 stars based on what you get for 40 bucks, not necessarily the fantastic quality of the case or contents. This kit does come with a lot of great items for a starter base camp medkit. The case itself is a little flimsy, i already broke one of the buckles, which was totally my fault. If you are looking for a starter kit for SHTF prepping, or even a bug out vehicle kit this is a really great value for 40 bucks, even better if you can get it on sale. The kit also has enough room for you to add a few things if you wanted to. I added 2 tourniquets, waterproof Bandaids, and some antibiotics to mine. Overall solid deal on this one. Great starter kit for the cost. great starter kit, nice sealed box with a little extra room. 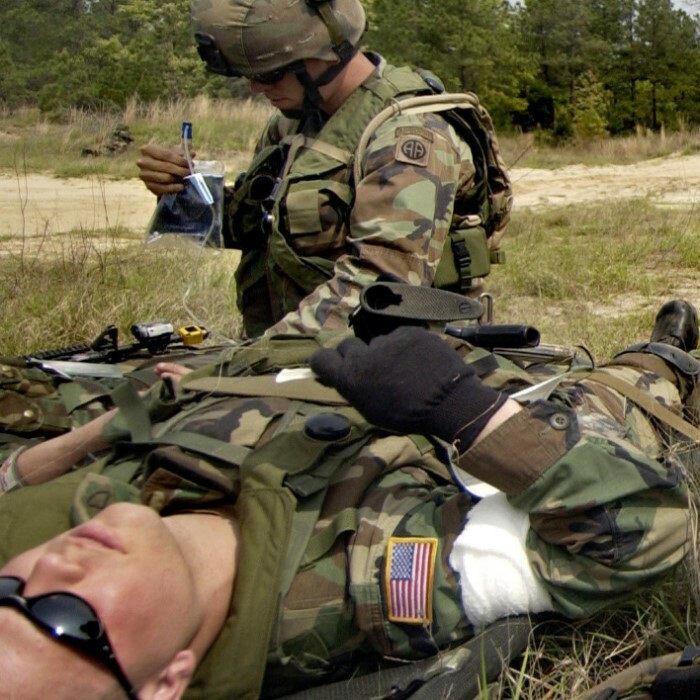 if you do some rearranging you can add a small trauma kit and some quick clot. This is a great kit as a base kit if you are getting into prepping. It is absolutely a fantastic buy for the money.I will say that you will not find any of the typical medical tools, like scissors, tweezers, magnifying glass, tourniquet, etc. in this kit. I would recommend you add them at a minimum, then you can customize from there. Any level of preparedness is better than no preparedness! Start here while you have time. well worth the money; the box alone would cost $20 plus shipping from other sites. plenty of room left in kit to expand if needed. contents included are well worth the balance of $20. great kit to have in your bug out vehicle, to large and bulky to carry on the run. This is a good first aid kit for a home setting and it will get you by until an ambulance arrives, but if they are making this kit to be used in the wilderness I would not take it or if I would I would have to add some more to it. If I were to take this out for "survival" I would include : quickclot, more tape, plastic bags, antibiotics (lots) scalpels cpr mask, airway kit etc,..... But if you are not trained in those other situations which I did not even cover them with my list then those things would be of no use to you. So it is great as a starter kit, but that is it. Great kit. Well worth the money. this is a great starter package to put in a survival kit, bought mine a few weeks ago. thanks budK.